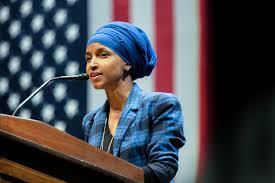 The Zionist Organization of America (ZOA) has condemned the anti-Israel record of newly elected Member of Congress, Ihlan Omar, and is seeking to alert the public to her record of hostile, anti-Israel extremism. Omar, a Muslim refugee from Somalia, was elected in the 2018 midterm elections to replace Rep. Keith Ellison (D–MN) in the state’s 5th Congressional District, a solidly Democratic seat. The ZOA has also called upon the Democratic Party and the media to criticize her anti-Israel extremism, something which reportage on her campaign and victory has totally ignored. Following her being elected, Omar told Muslim Girl magazine that she “believes in and supports the BDS movement,” adding that she has fought to ensure others are also able to openly support the movement. Omar is first Member of Congress to openly support BDS. Omar has clearly performed a bait-and-switch, since, when asked in August during a primary debate at a synagogue to specify “exactly where you stand” on BDS, Omar said that BDS was “not helpful in getting that two-state solution” without, however, telling anyone that she nonetheless supports BDS. Omar was elected to replace Rep. Keith Ellison (D–MN) in the state’s 5th Congressional District. Ellison was the first Muslim elected to Congress. Her campaign spoke with Muslim Girl in a feature published on Sunday. PJ Media’s David Steinberg has identified 105 news stories written in the immediate aftermath of Omar’s victory, not a single one of which one mentioned her extreme statements crediting Israel with apartheid and hypnotizing the world while concealing its “evil doings.” Nor did anyone call upon the Democratic Party to distance itself from this rhetoric. In 2017, as a Minnesota state legislator, Omar was one of only two legislators who voted against a bill aimed at denying life insurance payments to any person convicted of aiding or committing terror acts. (The bill ultimately passed and was signed into law). Omar did not offer an explanation for her vote when approached for comment in August by the Washington Free Beacon. In 2017, Omar voted against a bill that would bar the state of Minnesota from contracting with companies that engage in BDS – that passed with large bipartisan majorities and was signed into law by Democratic Gov. Mark Dayton. Extraordinarily, considerable evidence exists to demonstrate that Omar might have married her biological brother, thereby committing marriage and immigration fraud. (They divorced in December 2017, in proceedings in which Omar appears to have lied under oath). 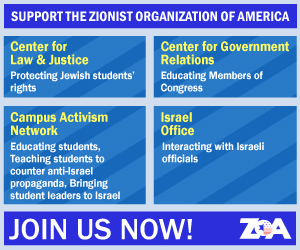 ZOA National President Morton A. Klein said, “Ihlan Omar is not only the first Member of Congress to support BDS, but she appears to have deliberately misled Jewish constituents on her position regarding BDS prior to the election. This is simply scandalous. “Omar’s reservations regarding the effectiveness of BDS does not help her anti-Israel bonafides. Consider: all she is really saying is that she doubts how useful BDS might prove to be in demonizing, ostracizing and harming Israel. this implies that, if BDS were highly effective at these things, she would support it even more wholeheartedly. “Rep. Omar’s record is deeply worrying. Why would she have been in a minority of merely two opposing a bill denying life insurance payments to terrorists, like the state law that was actually passed in Minnesota with an overwhelming bipartisan majority? 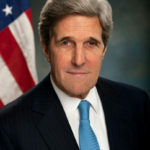 “It is deeply worrying and symptomatic of the present day that Rep. Omar’s extreme hostility to Israel and vicious statement about Israeli evil were are ignored wall-to-wall in media reportage. It is as if her hatred of Israel is simply so unimportant that it does not bear mentioning. Why did no journalist reporter hostility? Isn’t this an aspect of her record and views the public are entitle to know? And why did no-one in the Democratic Party take a stand and criticize her? 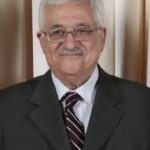 Where were the pro-Israel Democratic legislators?